As security threats become more nuanced and complex, organizations and institutions with high security risks are now beginning to require integrated access control solutions that leave little room for user error. In this week’s blog, we explore technologies that are making key access control safer and more secure by integrating access management with other aspects of network security. Learn more below. As safety threats become more complex, organizations with high security risks require integrated key control that leaves no room for user error. Proper key management is important for both safety and efficiency. Physical management systems have often been clunky and left too much room for user error as keys can easily go missing and without a system of accountability, tracking them down can be a significant drain on time and resources. With security needs becoming more complicated than in the past, institutions with high security needs are turning to more sophisticated access management control. With today’s abundance of integrated technology, key management is becoming one part in a larger security strategy designed to provide quick access to information such as who last used a key, when, and where. Simple locked cabinets have evolved to possess the ability to integrate with other aspects of physical security and network access systems. Key control systems can also be integrated into pre-existing identification cards, allowing IT managers to track they key’s use and last location with the click of a button. Locked cabinets can easily be outfitted with high-level security verification including biometric technologies such as fingerprint readers, built-in keyboards, and magnetic card readers to ensure that only select individuals will be granted access. 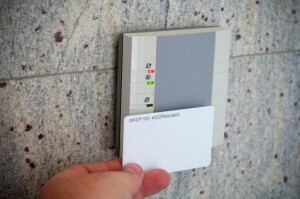 Advanced systems are able to integrate built-in memory chips that allow security managers to gain current information on the location and use of keys. For institutions with high security needs, integrated access control is crucial to ensuring an effective and efficient workplace. This entry was posted on Wednesday, October 14th, 2015 at 7:28 pm. Both comments and pings are currently closed.